The two largest vendors of payment-processing systems for New York City taxicabs have introduced ride-hailing mobile apps, which might be used to help the cab industry compete against Uber. Verifone debuted its Way2ride app in New York in July, and plans to expand to Philadelphia, Las Vegas, Boston, Miami and Washington, D.C., next month. The app has been downloaded about 200,000 times by prospective New York cab customers. Creative Mobile Technologies, though a partnership with app-maker Arro, debuted the Arro app in New York earlier this month. It has plans to introduce the app in San Francisco and Washington, D.C. The app has been downloaded about 12,000 times. 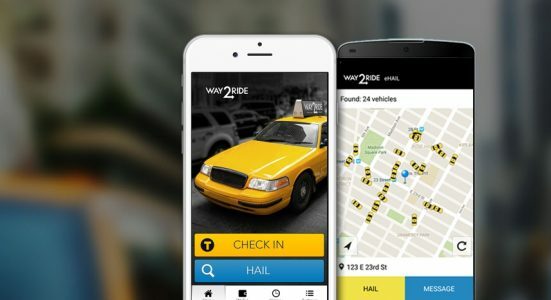 The apps are notable because the two companies control New York’s taxicab payment-processing market, and because that city has been the site of a particularly contentious battle between the cab industry and Uber, which started operating in New York in 2011. To read the complete story at Travel Weekly, click here.